Project Grace is a strategic initiative focused on leveraging public infrastructure to encourage private development, ultimately serving our community as a project focused on Intelligent Growth and Economic Development. New Hanover County is in the unique position of owning an entire city-block in downtown Wilmington. While this block includes a New Hanover County library, story park, and a 640 space parking garage, there are several underused surface parking lots which could be a part of a larger redevelopment project. Project Grace includes the concept of fully utilizing the 640 space parking garage in a redevelopment project that includes a new public library, Cape Fear Museum, and private space that includes retail, residential, offices, and possibly even a hotel. In July 2017, a feasibility study was conducted outlining a path forward. 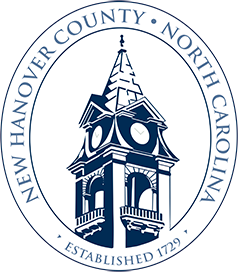 The New Hanover County Board of County Commissioners unanimously directed staff to proceed with issuing a Request for Proposals from the development community which explores the options of entering into a Public Private Partnership. Additional information about this strategic initiative can be viewed on the Project Grace website, and you can learn more in County Manager Chris Coudriet’s Manager’s Message. The “Choose Cape Fear” marketing initiative highlights the Cape Fear region as one of the fastest growing in the southeastern United States, with more than 200,000 skilled workers and more than 30 percent of the workforce having earned a four-year degree or higher. Going into the second year of the Choose Cape Fear initiative, it continues to promote the Cape Fear region with the goal of growing jobs. An update on the success and the plans going forward can be found here.